Length: 3 hrs. 45 min. How can you make a difference in the world today? Does God really want YOU and your talents as he seeks to redeem the world from darkness? What would happen in your neighborhood, your place of work, your school, your church, if you called on God's Spirit to unleash his power in your life? 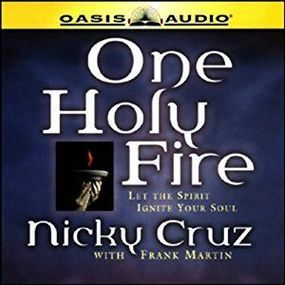 Nicky Cruz, former gangbanger, son of a warlock and spiritualist, but redeemed by God's power from a destructive life, takes you into that world, and shows you what God can do through people who are fully committed to him. A challenge to live a Spirit-filled life for anyone from teens on up.